The 5th Suzuki Music Festival of Buenos Aires took place from September 14th to 23rd, 2007. 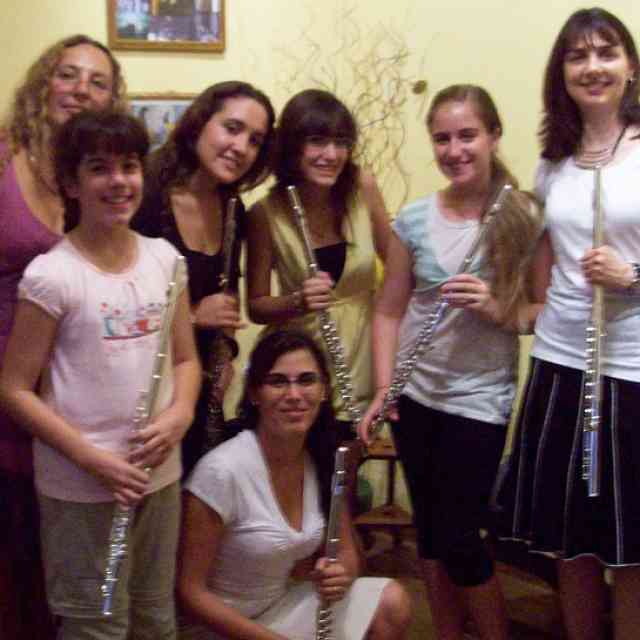 For the first time at the Buenos Aires festival, there were teacher workshops in flute, thanks in great part to the efforts of Fernando Formigo, who brought a large group of his students to the festival two years ago to give a workshop. 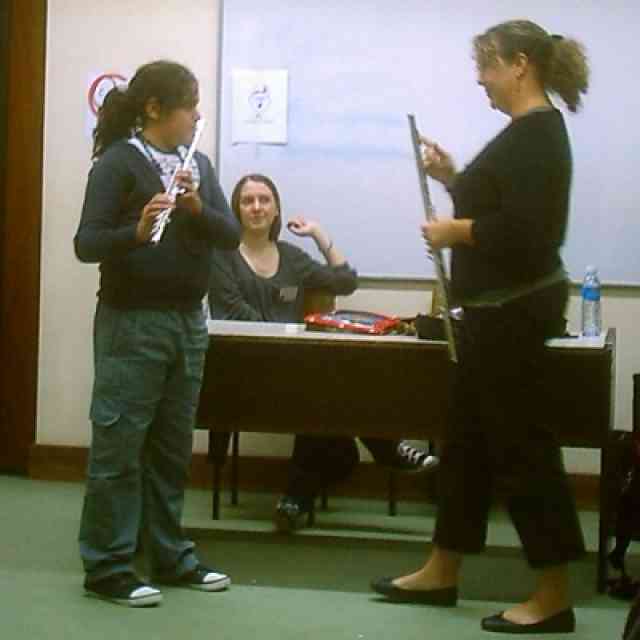 Two teacher classes for flute were offered: the Book 2 class had six participants, and the Book 1 class had seven. Teacher participants came from all over Argentina (Patagonia, Bahia Blanca, La Plata, Cordoba, Rosario, and Jujuy as well as Buenos Aires). Two teachers from the January 2007 Book 1 class in Lima also came to Buenos Aires for Book 2, from Colombia and Chile. 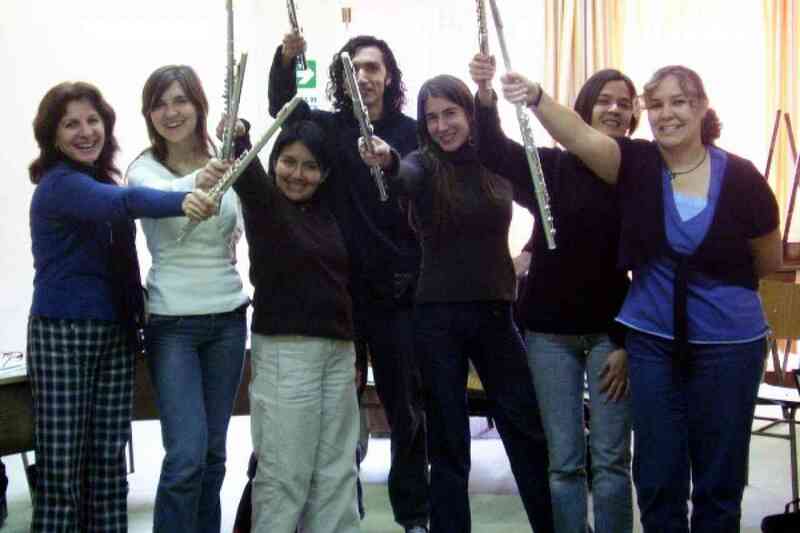 Flute Book 1 class in Buenos Aires, 2007. Six students took part in masterclasses—Martin and Camila traveled 26 hours by bus with their teacher, Fernando, from San Martin de los Andes. 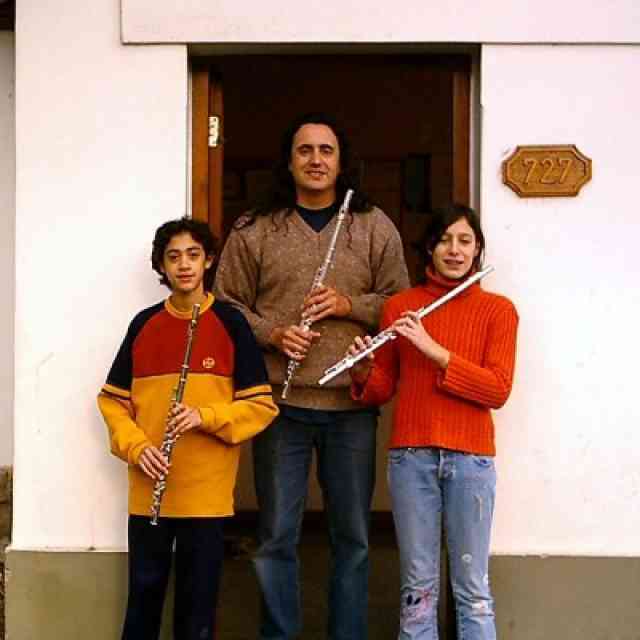 Rodrigo (student of Silvana Turco) and Ines (daughter and student of Alicia Basta) live in Buenos Aires and were able to come almost every day; Camila (student of Mariana Capponi) was able to come from La Plata for two weekend classes, and Jordana (student of Silvana Turco) also attended one masterclass on the final weekend. Kelly with Camila, a student of Mariana Capponi of La Plata, Argentina. Kelly with Camila Formigo, student of Fernando Formigo of San Martin de los Andes, Patagonia, Argentina. 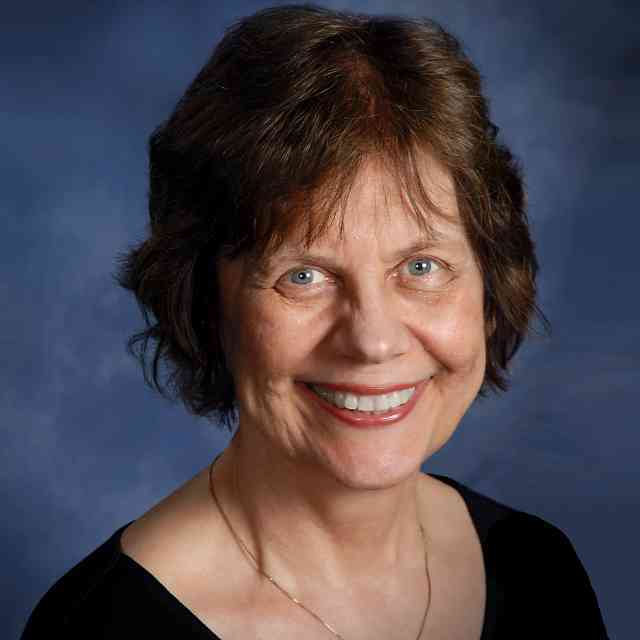 Many thanks to Patricia Pasmanter and the Suzuki Association of Buenos Aires for their hard work in organizing the festival, and also to the teachers who brought students for masterclasses!